GT NANO - Green Technology Research Center Inc. The primary cause of electronic failure is the inability to regulate the temperature of such products. It accounts for more failures than dust, humidity, vibration and all other destructive conditions. The lifetime of computer and video chips, LEDs, lasers, solar cells, and IGBTs containing products is greatly reduced as a result of the inability to keep product components at cool temperatures. In order to develop new products and promote science and technology we employ individuals to benefit from the special characteristics of nanoparticles. 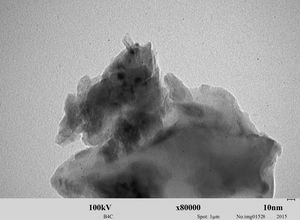 Applied Nanotech offers nanoparticles can be obtained in adequate amount for both research and commercial. Please complete the Information Request Form to place order for nanoparticles or if you require more information. Ultrafine grinding technology DG-Nano has no restrictions on the properties of solid substance – we can grind superhard materials, competing with diamond, and quite soft and plastic materials (graphite, metals, etc.). A feature of Dynamic grinding nanotechnology and designed equipment is a high degree of process automation, leak resistance of the equipment, and the use of special material. Get products of the highest quality. Automatically manage all the process parameters, along with high quality materials ensuring the stability of quality parameters in the resulting product. Keep the properties of the material during the grinding process by volume and by newly created surface, change them in needed directions by using specially chosen atmosphere (for example, nano charcoal). Carry out co-grinding of different materials, whereby there is a synergistic effect (e.g., cement and silica). Carry out clean grinding without pollution. Substance grinding with Dynamic grinding nanotechnology can be implemented in equipment of various capacities (from ten kilograms to tens tons per hour or more). There are no solids, which can’t be grinded by Dynamic grinding nanotechnology. Our technology is energy efficient and allows grind substance to nanoscale with less energy consumption. Our technology is the most efficient out there. What is more important we achieved high speed of grinding of any substance you may need. Improving the quality of the final product is the main goal of any manufacturer. We create a separate machine for each material we grind to ensure that its purity will meet any of the customer’s requirements. Market introduction of new products with unexpected properties. For example, nano charcoal burn as a liquid fuel, which improves combustion efficiency and eliminates incomplete burning; strength of concretes prepared with the use of hydraulic binding nano materials increases by 30% or more. Powders made with Dynamic grinding nanotechnology. To get started, we are ready to grind your sample according to your terms of reference. The substance should be pre-milled to 500 - 100 microns. The technology we developed can grind materials and solids to the sizes from 0.01 microns (10 nanometers) to 10 microns, confirmed by the photos made by electron microscope. Due to the high surface energy of the particles, they easily aggregate into larger particles. Even after particles dispersion in the fluid in an ultrasonic bath they again form agglomerates in a short period of time. This makes it difficult to perform a correct analysis of the particle size distribution. In this regard, we offer the following way of cooperation. 1. Potential customer provides us with the test batch of the initial product for grinding in amount which allows customer to perform all necessary tests. 2. We grind samples submitted by the customer in accordance with provided requirements and return the samples for testing. Customer specifies desired grinding conditions such as temperature, medium (gas or liquid), chemical composition and needed size of the particles. 3. After testing customer makes a decision whether to use our grinding technology in his technological scheme. 4. Then we discuss the product volumes and forms of cooperation. Note: Pay attention to the measurement equipment for testing. Most labs are using analyzers that are not able to make nano dimensions. Nowadays everybody knows what “nanotechnology” or “nano-sized particles” mean. Over the past twenty years nanotechnology has become a strategic industrial direction - more than 50 countries research and develop the field of nanotechnology, and at least 30 countries have their own national programs in this area. Six Nobel prizes have been awarded for unique research results in the field of nanomaterials, nanotechnology, and nanoelectronics. According to estimates the development of nanotechnologies will change the twenty first century like atomic energy, the invention of the laser, the transistor, and the computer changed the twentieth century. Today, nanotechnology is present in almost all areas of science and technology: physics, chemistry, materials science, biology, medicine, ecology, agriculture, and more. The scientific community estimates that the development of nanotechnology and nanosubstances will lead to the restructuring of all sectors of industrial production, lead to a new scientific technological revolution, and impact on the development of the social structure of society. Nanotechnology is an interdisciplinary field of science and technology dedicated to the study of the properties of objects and developing devices with the basic structural elements of the dimensions of a few tens of nanometers (1 nm = 10-9 m). It is considered to assign everything less than 100 nm to the nanosystems industry. However, the system gets the prefix "nano,” not because its size becomes smaller than 100 nm, but due to the fact that its properties begin to depend on size. The macroscopic representation of the physical and physicochemical properties of the substance are invariant with respect to its quantity or size. However, this statement is true to a certain extent, that is, when at least one dimension in the length of the studied object becomes less than 100 nm. When nanoparticles form the system their properties differ either from the bulk phase of the substance or from the molecules and atoms they consist of. The basis of new achievements in nanoscale scientific and technological development is the usage of new previously unknown properties and functionality of material systems. The first mention of the techniques, that later would be called nanotechnology, belongs to American physicist Richard Feynman in his famous lecture “here's Plenty of Room at the Bottom” in 1959. Feynman scientifically proved that there are no obstacles to produce physical objects directly from the atoms according to the fundamental laws of physics. He suggested that it is possible to move atoms separately, mechanically, using a manipulator of appropriate dimensions. For the first time the term "nanotechnology" was used by Japanese physicist Norio Taniguchi in 1974. He proposed to name production of nanometer-sized objects with this term. In 1986, the American futurist Eric Drexler published his book "Engines of Creation: coming Era of Nanotechnology” and the term nanotechnology has become known to the general public.  One should mention that there are at least two factors going along with research in the field of nanomaterials. Firstly, even at the beginning of study the possibility of realizing a high level of physical-chemical and mechanical properties of nanomaterials appeared. Secondly, these problems reveal a number of gaps not only in understanding the nature of the features of this state, but also its technological implementation. In the transition from basic research to industrial processes that require not grams or kilograms, but tens and hundreds of tons of material with nanoscale particles, we often meet an insurmountable factor for their implementation which is high cost of nanomaterials. Therefore, the new technology of getting nanoparticles with low energy consumption and industrial scale will enable us to create a revolution in many fields of technology and production. Nanostructured materials are largely employed in Composites, Coating, Particle Film devices, Catalyst, Biomedical, Electronic, Optical, Magnetic and Energy Industries due to the amazing features it exhibits. It helps in the Isolation and purification of biological molecules and cells in research studies. It plays part in the study of pharmacokinetics. Nanoparticles can be designed to regulate and ensure the drug is released during passage as well as determine the site of the release. The circulation and ensuing removal of the drug from the body can be changed, and it is possible to attain a reduction in the side effect of the drug and enhance drug therapeutic effectiveness. The drug can be administered via diverse route which includes oral, nasal, intra-venous, intra-ocular (through the eyes) and so on. Gold Nanoparticles and Carbon Nanoparticles have been found useful in new cancer treatment employing radio waves to heat and terminate cancerous growths, lymphoma, or metastasized cancer. 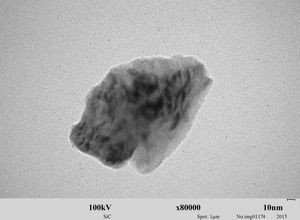 Nanocomposites are complex materials which consist of particles ranging from 1-100nm. In the production of a new material with improved properties, small amount of nanoparticles between 0.5% - 5% is added to a material to form nanocomposite. We are directing our resources on advancements in CNT nanocomposites which also entail enhanced panels, nylons, carbon fiber and glass fiber prepregs and epoxies. Enhanced with the knowledge of material interfaces and interaction at the nano-scale, a passive thermal management material has been invented that has been identified to be among 100 most significant product inventions. Through this revolutionary invention temperature regulation challenges that have plagued electronics producers over the years is now history. 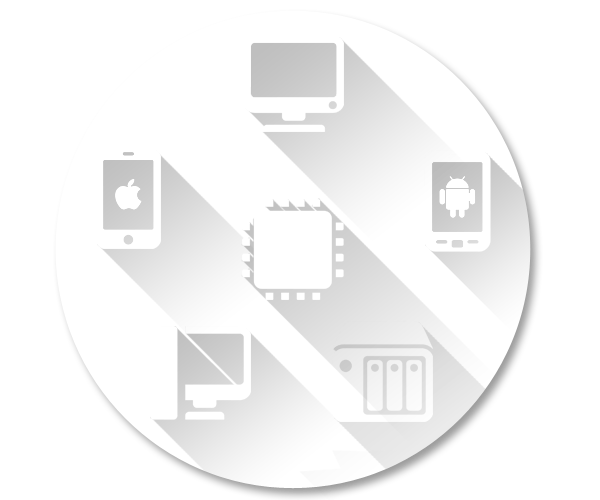 Many well designed electronics have failed as a result of heat accumulation, "hot spots" and breakages generated by temperature control challenges. A material that surpasses the potential of orthodox passive thermal management materials has been created through the careful combination of low density, high thermal diffusivity, high thermal conductivity, and a low coefficient of thermal expansion (CTE). Heat Transfer Material is a carbon-based metal nanocomposite (CAl) comprised of 80% carbonaceous matrix and a dispersed metal component of 20% aluminum. In order to develop new products and promote science and technology we employ individuals to benefit from the special characteristics of nanoparticles. 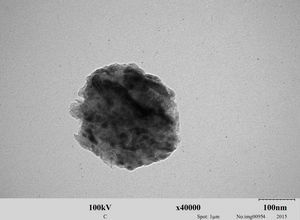 We offer nanoparticles can be obtained in adequate amount for both research and commercial. Please complete the Information Request Form to place order for nanoparticles or if you require more information. 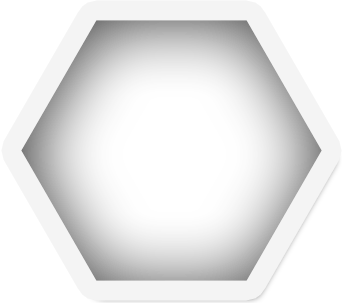 Improved shielding or radiation absorption. Improved binding or interface connection (in filler/polymer nanocomposites). Enhanced sensitivity for sensor tools. Translucent pigments (when the filler size is less than 1/4 to 1/2 of the wavelength of the radiation light). Improved storage capability of energies like electrons, solar light, and hydrogen gas. The speed and density of Information storage and transport occurs at high rate. Enhanced hardness and conduction like Ag-based and Cu-based nanocrystalline alloys. Enhanced strength and ductility nanocrystalline ceramics components, can be applied in cutting, grinding and other purposes. 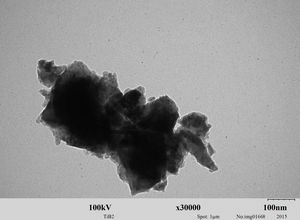 Nano coal increases its calorific value in several times. Using the nano coals not only cheaper, because you can use low-calorie coal. But it's a Green way of its combustion. With our technology you can use up to 50% less coal and 50% less CO2 emissions with the same calorific value. Copyright © 2016 Green Technology Research Center Inc.